Probably one of the biggest question I get asked by International Doctors is. How do I find doctor jobs in Australia? In this post I will try to demystify and break down the process for you. Starting with how to identify suitable posts online and then moving on to other strategies, such as personal approaches to employer and networking. Now the circumstances do vary a little between if you are working through the standard pathway process, the competent authority pathway process or the specialist pathway process. We will start off by focussing on identifying suitable posts for standard pathway and competent authority pathway doctors and towards the end of the post I will turn my attention to the specialist pathway. By the way if you don't know what any of these terms mean. Then I suggest you check out the links to them on the Medical Board website OR watch the explainer video below. There are a number of key steps you need to go through if you are an international doctor or IMG looking for your first post in Australia. Whether you are coming through the standard pathway or competent authority pathway your first position needs to be one that offers what is termed “provisional registration”. 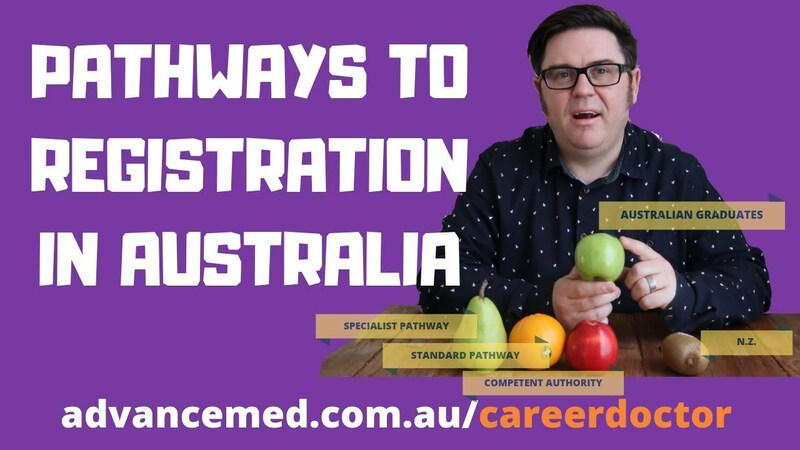 Think of this as a well supervised post where you get the chance to demonstrate on the job that you are capable of working at the level of an Australia doctor. A year of provisional registration is a generally requirement for all doctors coming via either of these two pathways. Herein lies the problem. Employers in Australia are under no obligation to offer positions for candidates that allow for provisional registration. In fact, by law they are actually required to preference Australian doctors over international doctors. Or to be completely accurate it is a requirement that if an Australian citizen or permanent resident demonstrates suitability for a position that they should be offered that job and it cannot be offered to a candidate from another country. Okay. But I know international doctors who have gotten jobs here. How does this happen? Labor markets are subject to issues of supply and demand. And there are often gaps in the supply or number of Australian doctors to fill positions particularly in less popular fields or less popular locations. So many employers will open the opportunity to international doctors. But usually after trying to recruit an Australian doctor first. In fact, if you do actually find a position advertised that will accept international doctors its quite likely that there will be very few Australian doctor candidates for this position. If any! So that boosts your chances a bit. "Eligible For Registration". The Key Magic Words." As an IMG looking for doctor jobs in Australia, you can spend a lot of wasted time reviewing position descriptions and ringing potential employers if you don't know where to look and what to look for. Think of this as similar to the initial review of a research article that you have found in your search for an evidence based approach to solving a problem. 9 times out of 10 we will read the abstract of an article (or even just the title) and decide from that that the article is not relevant to our needs. The same goes for job search and job description. The abstract is the Selection Criteria. Usually (but not always) these appear towards the bottom of the job ad or position description. Wherever they are find them and look at the criteria. In a doctor job ad there is always one selection criteria. Normally the first one. That describes what qualifications and registration you need. The magic phrase you are looking for is “eligible for registration” or words similar to this. For international doctors looking for a doctor job in Australia. Skip to the selection criteria. The magic words you are looking for are: "eligible for registration." This means that employers will consider doctor candidates that need their assistance to apply for registration, ie. someone who has their AMC Part 1 or someone who is applying via the competent authority pathway. On the flip side if you see words like “current registration”, “has registration”, “general registration” or “full registration” this means that you are not eligible to apply for this particular job. Make sure you check all the selection criteria. Just because there is a statement implying that the employer will consider someone who is not yet registered does not mean you should go ahead and start putting in your application. You should take care to do a few other things first. Firstly, you should check through all the other selection criteria. There are normally around 6 to 10 of these. Make sure that you are able to meet all the essential criteria and can give a reasonable impression for any other non-essential (otherwise known as desirable) selection criteria. Don't know the difference between essential and desirable criteria? Watch this video. Next. Go through the rest of the job description. Make sure you understand what the role is about and that you are confident you can at least grow into the role with some help. Pay particular note to where the job is located. If you are not able to commit to working in this particular location. Then don't apply. Looking online is an obvious first place to start if you are looking for your first doctor job in Australia. The very first thing you should do if you are looking for jobs online is that you should go and register with all the State and Territory Health Department Portals. This is where the bulk of jobs that will be suitable for you are posted. I have put a list of these below to help you out. You should also register with sites like Seek as most of these systems automatically upload their postings to these general job advertising sites as well in order to increase their reach to prospective candidates. Most of these recruitment sites have a system of alerts so you can be notified of suitable job openings. So you should definitely turn these alerts ON. In most States recruitment is centralised so its not necessary to look at each individual hospital or health service. However, in Victoria there is a partial centralization through the central system as well as what is called the match system but many jobs are actually only advertised on individual health service sites. So you will need to do a bit more looking around and registering if you are interested in a job in Victoria. As I said above. The types of jobs you are looking for are ones where they will accept someone who required provisional registration. The position titles to look at are anything with the word Resident or Resident Medical Officer in the title. These are by far the highest yield job titles. And are the posts that are most likely to be open to International Doctors coming via either the Standard Pathway or Competent Authority pathway. These are either less likely to be advertised (especially intern) or less likely to be open to doctors without registration but are worth reviewing. In some States. Such as Queensland and Victoria the service will revert to an Award Classification as a title. That is also worth reviewing. This indicates that the employer understands that once you are offered the job there will be a process of applying to the Medical Board for registration. If it just says Must Be Registered with the Medical Board or Have current registration. Then you are not able to apply. I recommend in order to save time you skip to the Selection Criteria to see if you are suitable. As a final comment. You will often see additional Selection Criteria requiring certain amounts of or certain types of experience. Sometimes they are happy for that experience to be from anywhere. Sometimes it needs to be from within Australia. Sometimes they may accept experience from one of the Competent Authority countries. This is becoming a real problem lately and its actually pretty poor HR practice. Whilst looking online is going to be your best first starting point. A problem is that its also going to be everyone else's best starting point. So however clever you think you are at finding those rare jobs that will accept an IMG application you can bet that if you found it then others have as well and have probably shared it with their friends and the dozens of IMG support groups on social media sites like facebook. The strategies below are easy to implement. They mainly only require an investment of your time. Its amazing how many IMGs ignore these tactics initially. So, if you want to give yourself an edge over the competition, I suggest you think about implementing one or all of them. Don't stop at just filling in applications for current vacant positions. Make a list of all the hospitals you are interested in working at and find out who the Managers or Doctors there are who are responsible for entry level doctor recruitment. Send them a short courteous email with your details and a tailored CV. To avoid it looking spammy try to personalise the email with some sort of information that you have researched about the hospital. In past roles I have been added to blind copy (BCC) email lists. Its pretty obvious when you and a thousand other Medical Administrators have just been sent a CV. I have always trashed these emails. Don't do this. I am interested in any resident level job opportunities that you may have. Or any other suitable positions. Don't try to call at this stage. Don't be dismayed if you do not get a response. At best you might get a reply to one out of ten emails. If you do get a reply offer to come and meet with the manager or doctor. One reason that you may not get a response is that your CV is not up to scratch. Some of the reasons may be. It contains errors. It might be missing vital information. It may not be well directed to the particular hospital. So before you start emailing brush up on how to write a medical CV in Australia. Networking is not often thought about as an opportunity to identify job positions. But it is. Most international doctors in my experience tend to hang out with other international doctors. Which is perfectly ok if you are studying for things like the AMC exam. But it isn't going to advance your job prospects. Find ways of hanging out with actual real employed Australian doctors. Some examples of how you might do this is by undertaking a clinical observership, going to medical conferences, becoming a medical school tutor and enrolling in some of the courses that trainee doctors undertake. There are two key advantages to this. Firstly, you are getting a better exposure to what its like to work in the Australian medical system. Secondly, as you develop friendships with employed doctors you will start to find out about potential job opportunities as well as get assistance with personal referrals to people in hospital who are in charge of doctor recruitment. This will help you get through the first filter and have a chance to put your case forward. Most general practitioners are employed in the private sector. So that's where you need to look if you are after a general practice job. And most general practice doctors have understood this for quite some time. Private hospitals on the other hand have been a bit overlooked in terms of possible positions for international doctors. This is probably because traditionally to work in a private hospital you needed to be an actual Consultant, a Fellow of a College, who can bring patients into the private hospital and allow the private hospital to charge. Or a fairly senior and experienced doctor who can work efficiently for the hospital and particularly free up the Consultants. Of late things have been changing. There have been some private hospitals who have started to take medical graduates as part of the intern allocation process. And some hospitals are now seeing IMGs as possible options for providing general ward cover. You might try approaching these private hospitals individually or many work as part of a group of hospitals where you can apply for a range of job opportunities. 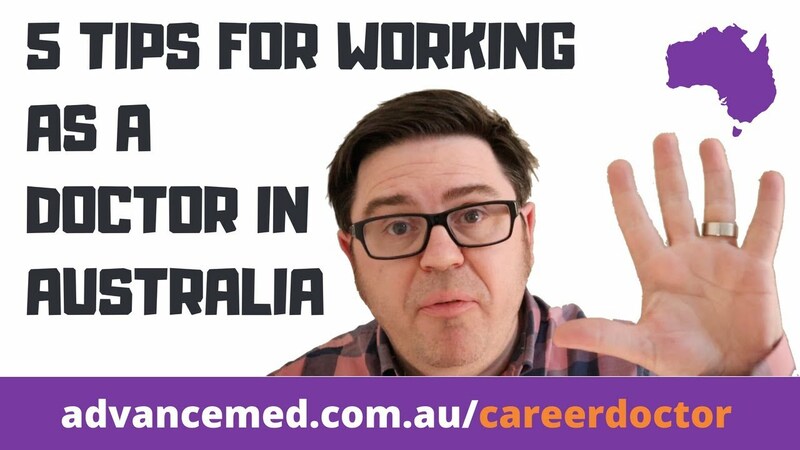 In my “5 Tips for Working as a Doctor in Australia” video I point out the the medical job labor market in Australia is driven by an issue of supply and demand, whereby prestigious hospitals in capital cities are generally sought out by doctors. Which means that the cities tend to draw doctors from the regions and the regions from the rural and remote areas. As a result. The more prepared you are to get out past the big places like Sydney, Melbourne and Brisbane. And even bypass the Newcastles and Geelongs. In favour of the Burnies, the Rockhamptons and the Armidales. The more likely you are to be able to actually meet with someone who might be interested in seeing if you are a good fit to work at their hospital. I speak to so many International Doctors about this tip. And so many ignore this really sound piece of advice. It can be hard to move your family if you are established within a like community in a capital city. But you will often find that there is a lot of local support and gratitude that makes it worthwhile at the other end. Should I register with a recruitment agent? In the above video I talk about the potential benefits of working with a recruitment agent. Sometimes the agencies know about other job opportunities that are not well advertised publicly. However, its not as simple as just registering. Recruitment companies have to make a living. So they are not going to take on any doctor for whom they feel that there is not a real prospect of landing a job. In my experience you are wasting your time contacting recruitment agents if you are on the standard pathway, unless you perhaps have a prospect of working in general practice. On the other hand it may be worth contacting a recruitment agent if you are eligible under competent authority or have already gone through the specialist assessment process. Particularly if you work in one of the more higher demand areas, such as critical care, psychiatry or general medicine. I'm a General Practitioner. How do I find a job? This is a great question. And, I'm hoping to provide some more information about this for you shortly. Many of the strategies discuss above will work if you are looking for general practice roles. 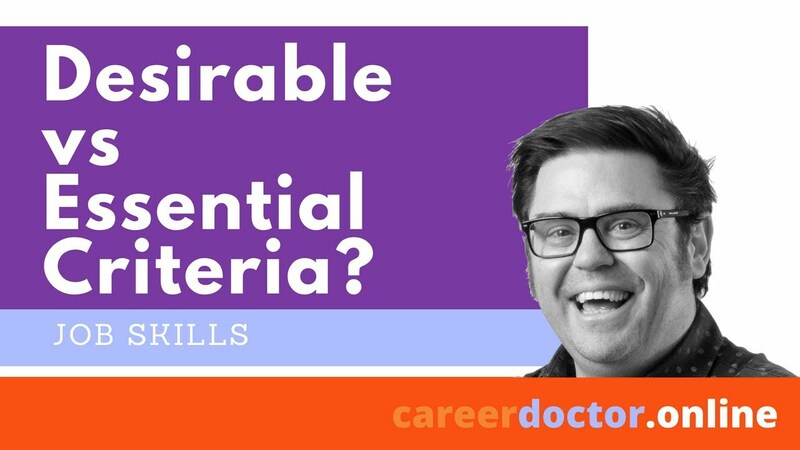 You are not, however, generally looking for those keywords of “eligible for registration.” And you are unlikely to find many general practice positions advertised on the State and Territory recruitment sites. I'm a Specialist. How do I find a job? Much helpful. Appreciated. Keep up the good work.